This plant enjoys indirect light, making it perfect for most indoor settings. With its impressive height and many stalks, its perfect for more places than just the parlor. 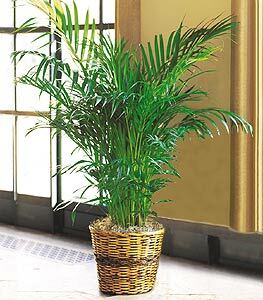 One palm plant arrives in a rattan pot cover. Note: this item may not be available for same day delivery in all areas.